The paranormal/supernatural genre chose me through weird circumstances so I am always curious how other authors fell into this particular genre. I posed this question to Charles and his response is below. I hope you find it as revealing and interesting as I did. “I am Charles F. French, a writer of speculative fiction, including horror, paranormal, and young adult fiction. 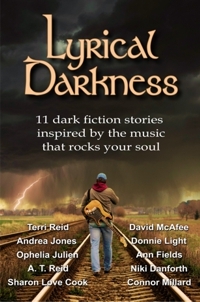 I have had an interest in the genres of Gothic, horror, and science-fiction since I was a youngster. As a young teen, I read Dracula by Bram Stoker and The War of the Worlds by H. G. Wells, and these books immediately appealed to my youthful imagination. I continued reading works in these genres throughout my life, including in my academic studies, as well as for pleasure. Now I teach some of these books in various courses as an adjunct professor at Muhlenberg College and Lehigh University. One of the great strengths of books in these genres is that their authors are able to make social critiques about their real worlds but offer them as metaphor in the fictional environment. The plots capture the readers’ attention but then often go deeper into discussions of life and societal concerns. Mary Shelley, in Frankenstein, deals with such issues as limits of scientific research, abandonment of children, the position of women in the 19th Century, and justice/injustice. While I am not placing my writing on the level of Mary Shelley, I hope that I both create a compelling story and also include important themes. It is in the writing of speculative fiction that I can work simultaneously on both creating interesting plot and characters but also speak to matters that I find important about the world. But always, story comes first. If the piece is not interesting, if I lose the reader, then nothing else will succeed. I am in total agreement with Charles’ thoughts on writing and reading paranormal/supernatural fiction, and am pleased to feature his book. If it’s been a while since you’ve indulged in a paranormal read I can think of no better time than now, what with Charles’ new book and Halloween. Click here to purchase your copy. Go on, I dare you! A few months ago, I was in Bowie, Texas as part of the Texas Writes program. Texas Writes sends published authors to rural libraries throughout Texas to conduct workshops on writing. These libraries and their patrons don’t normally receive instructional workshops because of budgetary constraints. When I learned this, I jumped at the opportunity to present a workshop on editing. It was great fun! The librarian was so welcoming and I met so many talented writers and authors. One of the authors I met was Dianna M. Castro. I enjoyed conversing with all of the authors and writers but particularly Dianna because we both write in the paranormal genre. Her novels feature vampires; mine, spirits. When I learned Dianna had a published book I rushed to buy it and just recently finished reading it. Below is the review I wrote on her book, Forever Justice. If you’re looking for a vampire story to read as a warm-up to Halloween (it is less than five weeks away), this is the one. …is the story of vampire, Justice True who has been around for centuries and throughout those centuries has worked as a U.S. Marshal. She mostly works serial killer cases as well as violent, sexual crimes, and has a stellar arrest/conviction record. In this story, we follow Justice as she investigates three deviants who are committing ruthless, bloody murders, targeting women and children. As if that isn’t enough stress, she is also searching for the “master” vampire who bit her, turning her into a vampire against her will, so she can kill him. 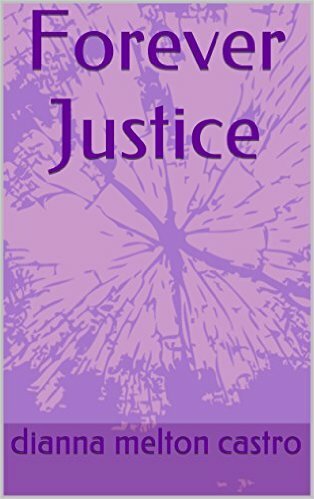 I was immediately hooked into the story with the author’s portrayal of how Justice was “turned.” There was good description, strong characterization and equally strong rationale (internal conflict). However, as I continued reading, moving from Justice’s past to the present, I discovered that her vampire life paled (no pun intended) significantly. It was greatly overshadowed by her criminal investigations, which resulted in a story that did not have enough balance or tense, suspenseful conflict to make it a page turner. Yes, there were scenes that snagged me (usually when tracking the criminals), but I wanted more conflict between protagonist (Justice) and antagonist (Alexander). In addition, I wanted to learn more about her vampire sect, the movements and background of Alexander, his family, etc. Knowing more about her opponent and pitting them against each other would have created amazing page-turning conflict. I will say though that the crime storyline was developed well enough to make the book worthy of finishing. A variety of cast members gave this story added dimension. A bevy of law enforcement officials were offset by ordinary citizens–senior citizens, teenagers, victims, family members, regular Joes, etc.–a diverse group that provided moments of laughter and awww. I was bothered by the naming of her second string characters though. In most cases, their names were a direct correlation to their profession, an obvious character trait, or a situation the character was in. This practice I found too obvious. The author was, however, creative in how she handled the conventions of the vampire culture. I was curious how she was going to handle a law enforcement officer working nights when the bulk of criminal investigations takes place during the day. She did an excellent job of answering this and other questions related to travel, sunlight, garlic, drinking blood, invitations to enter a home or business, biting, physical strength, turning friends and family into vampires, and her long tenured career. I must warn you…this is not a book for the weak of heart, mind or stomach. There are a number of gritty scenes and the details are disturbing. When I finished the book, I felt like this could be a series and I do believe the protagonist’s strength and enough crime (unfortunately) exists to sustain a series. However to embark on a series, the author will have to strengthen the supporting cast and ramp up the tension. Paranormal readers who enjoy a good vampire story…this one is for you.